Hunter D. Heggie of Signal Mountain died on Saturday December 22, 2018, at the age of 93. Hunter was preceded in death by his parents, Richard and Nell Heggie, brother, Corporal Richard Heggie, Jr., and sister, Joyce Reece. He was also preceded in death by his daughter, Alyson K. Heggie and grandson, Hunter Hamilton Crouch. Hunter was born in Robersonville, N.C. on April 19, 1925. Graduating as valedictorian of his high school class, he attended Mars Hill College before joining the Army at age 17. He served in the 86th Infantry Division as a scout and was awarded the Combat Infantry Medal and the Bronze Star. After being discharged from the army, he enrolled at the University of North Carolina at Chapel Hill. As an undergraduate student, he became a collegiate decathlon star. He earned a B.S. degree in Commerce and became a member of Phi Beta Kappa. He continued his education at UNC by attending law school and becoming a member of the Law Review. Upon graduation in 1951, he was awarded the Order of the Coif. After graduating from law school, he was employed by a national CPA firm in Atlanta. Upon receiving his CPA license, he was employed by the Internal Revenue Service in the Chief Counsel’s office. 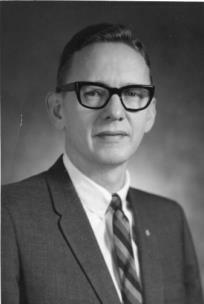 After his marriage to Dorothy Killebrew in 1953, he relocated to St. Louis to work in the Chief Counsel’s office. He eventually joined the law firm of Chambliss, Bonner in Chattanooga. He later became a senior partner with the law firm of Stophel, Caldwell and Heggie, which later became Caldwell, Heggie and Helton. Eventually he finished his law career with the firm of Baker, Donelson, retiring after practicing law for 50 years. Hunter was actively involved in several civic organizations in the community. 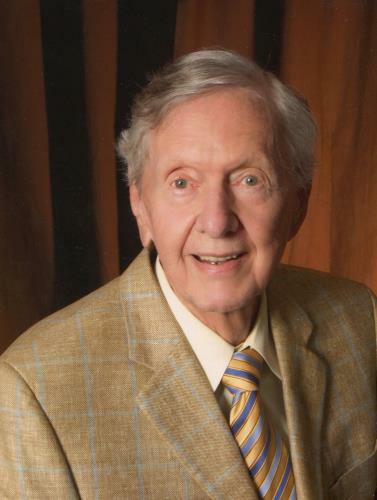 He served in and was president of the Chattanooga Civitan Club, chairman of the Counsel of the Child Welfare Auxiliary, president of the Estate Planning Counsel, and vice president of the Better Business Bureau of Chattanooga. He was also a member of numerous boards of directors, including Room in the Inn and Contact Ministry. He was an active member of First-Centenary United Methodist Church of Chattanooga where he taught Sunday School and served as Chairman of the Board of Trustees. He served as a member of the Administrative Board and chaired the Inner City Program. Hunter was also a long time member of the Baker, Newman and Murdoch Sunday School Class. Hunter is survived by his cherished wife of 65 years, Dot Heggie; children, Daryl Heggie (Donna) of Kennesaw, Dalton Heggie of Chattanooga, and Chris Heggie (Mary) of High Point, NC and grandson Ryan Heggie also of High Point, NC. In lieu of flowers, the family requests donations be made to First-Centenary United Methodist Church (please designate to their Inner City Ministries), 419 McCallie Ave., Chattanooga, Tn. 37401. Visitation will be on Thursday, Dec. 27, from 5:30-7:30 p.m. at Chattanooga Funeral Home Chapel located at 404 South Moore Road, East Ridge, Tn. 37412. There will also be a time of visitation on Friday, Dec. 28, from 11:30 a.m.-12:30 p.m. at First-Centenary United Methodist Church, 419 McCallie Ave., Chattanooga, Tn. 37401 followed by the memorial service at 12:30 p.m. Hunter will be laid to rest at 2 p.m. at the Chattanooga National Cemetery at 1200 Bailey Ave.